Well fans, you know what they say about a woman scorned. Genoa City has two women scorned. These dragon ladies - Gloria and Jill - are on the warpath. Gloria feels that Jack wronged her and that he owes her a job. She went on GC Buzz using a fake name and attempted to besmirch Jack's reputation. Fortunately for Mr. Abbot, his good friend and loyal ally, Hilary Curtis Hamilton, came to his rescue. Hilary prevented Jack from being identified on air by pretending there were technical difficulties at the station. I enjoyed the scene when Gloria showed her GC Buzz interview to Jack. She just sat back, actually nibbled on popcorn while she watched the show and waited for Jack's reaction. It was pure entertainment for our Gloria. What a piece of work she is! I'll be the first to say that Jack has been behaving like a jerk lately. However, Gloria's accusations were mostky false. The woman is desperate and shameless. Jack underestimated her ability to exact revenge and to do damage to his company. As for Jill, she can't get over the fact that Lauren never informed her that Fenmore's was having financial difficulties. She was outraged that Lauren made a deal with Jack and that Jack now controls 49 per cent of Fenmore''s. She just can't let it go. Oh no, not Barracuda Jill. She is selling off Brash & Sassy so that she can raise enough money to purchase Jack's portion of Fenmore's. Then she'll be able to take control of Fenmore's from Lauren. Victoria and Cane and Billy are going to have a fierce power struggle over ownership of Brash & Sassy. Of course, it is Victoria's baby because she built the business. So, what do you think about Dylan's (Steve Burton) exit from Genoa City? He just walked into the night, never to be seen again. He joined the Witness Protection Program. I think most viewers thought he was going to be shot dead by the criminals. However, the writers chose to take the character on a more unexpected path. Dylan gave up his identity and his marriage. When he was undercover, he actually became less and less like himself. Poor Sharon really got the raw end of the deal. She even had to take heat from Faith. The child accused her of driving men away, including Nick and Dylan. Yes, this time I really have sympathy for her. Victor Newman has become softer and more grandfatherly, while Jack Abbott has become ruthless and more bitter. It's as if the characters have changed places. Their transformations are a little too extreme. It wouldn't bother me if Jack were somewhat harsher after his betrayal by Phyllis, but did he have to change so much? As for Victor, he needed to become softer, but he didn't need to become a teddy bear and a kindly grandpa. By the way, have you noticed that Jack has not worn a tie to work since his breakup with Phyllis and the divorce? I wonder if that's part of his edgier image. According to online spoilers, Victor is about to announce that he's ready to give up the reins of power at Newman Enterprises. Not surprisingly. Abby is going to push for the job, but she's going to have stiff competition. The majority of my respondents to my last Y&R Report Readers' Poll indicated that they felt Victoria was the best choice for CEO of Newman Enterprises. Abby had the second greatest number of votes. The question is: Is Victor really ready to relinquish his power and authority? I find that hard to believe. Esther is working as a maid again for Jill at the Chancellor estate. Her stint at Crimson Lights has ended. I think that is Sally Sussman's influence. Although Katherine Chancellor is dead, Sally Sussman wants to restore the grandeur and history of her mansion. Would Hilary really refuse millions in a divorce settlement with Devon? Is she sincere when she claims that she doesn't want any money from Devon? We'll soon find out because Devon is in the process of handing over millions to her. Perhaps she and Devon will reconcile briefly, long enough for Hilary to have a baby. That might be Hillary's last, desperate ploy to hang on to her befuddled husband. Longtime Y&R fans will remember that Lauren Fenmore has a son from a previous marriage to Dr, Scott Grainger. 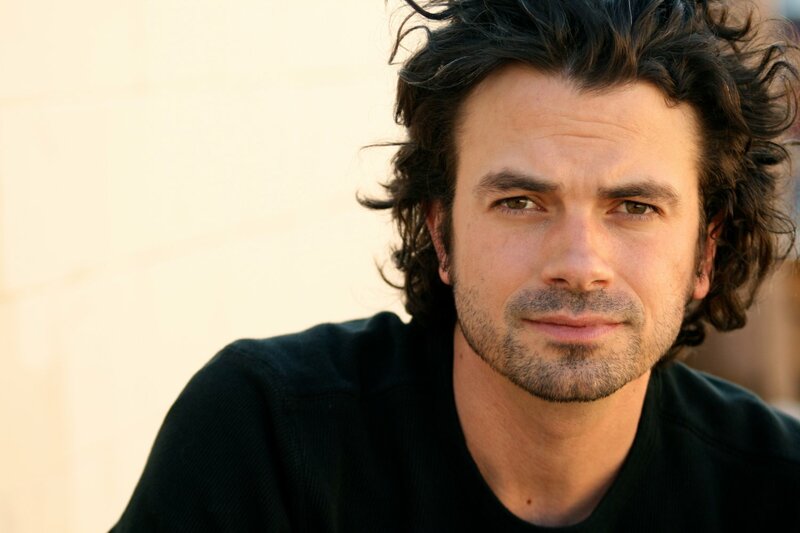 Scott Grainger, Jr. is coming back and actor Daniel Hall will take on the role. The last actor to play Scotty was Blair Redford, from July 2005 until January 2006. Scotty has been living in Toronto and Lauren has mentioned visiting him there. This is the first time the character has surfaced in over a decade. I think it's all part of head writer Sally Sussman's determination that the show remain connected to its history and its roots. Daniel Hall has appeared on daytime television before, as Jake/Jack on Guiding Light. He's also had roles on such primetime series as Law & Order: Special Victims Unit, The Newsroom and Mad Men. 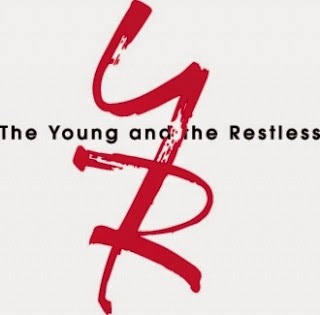 No date has been announced yet for Hall's appearance on The Young and the Restless. Whom do you think Scotty will become romantically involved with? Summer? Abby? 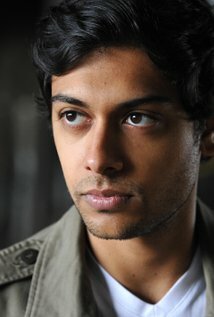 We all know that Ravi Shapur (Abhi Sinha) is the ultimate computer geek and that he's really smitten with Ashley Abbott. She seems to like him too. She always defends him and complains that Phyllis is monopolizing his time. However, does that mean she's interested in Ravi romantically? It's hard to tell, but he is certainly crazy over her. If an older. more sophisticated man, showed interest in Ashley. would she be spending so much time with Ravi? The two had an interesting conversation during which Ashley filled him in on her lack of marital success. When Ravis asked her how many times she'd been divorced, she responded, "Still under double digits." Then Ashley revealed that she had a preference for alpha males, although she said she wouldn't go as far as a cave man type. Two of her ex-husbands are Victor Newman, whom she married twice, and Tucker McCall. Both Victor and Tucker (her last husband), are alpha males. Ravi is definitely not. So, what do you think, fans? Should Ashley go for a younger, more sensitive tech genius? Should Ashley and Ravi get together? Yes. They get along well. No, he's too young for her and he's not sophisticated enough. No, computer geeks are not Ashley's style.. I haven't decided yet. I need to find out more about Ravi. That's all for now. The next edition of Y&R Report will appear in this space on Saturday, February 18, 2017. I can't wait to see what Y&R has in store for Valentine's Day.